Writer's Corner: Welcome to Christmas 2017! Thank you to Little Brown for giving me a copy of Winter Solstice by Elin Hilderbrand. I was given this copy from a Goodreads giveaway in exchange for an honest review. For fans of Elin Hilderbrand she has written the conclusion to the Quinn family journey. Winter Solstice is not only the finale to the Winter Street series, but a sequel The Rumor. I have not read either series or the Rumor. I will be reviewing this book as a stand-alone. Once again the Quinn family will gather together for Christmas on Nantucket. This Christmas will be different than the ones from the past. It will be the last Christmas at the Inn. Kelley the patriarch of the family is dying from brain cancer. His wife Mitzi has all she can handle with caring for Kelley, and when their son Brett comes home from Afghanistan. Will he find a way to reconnect with the world? Ava has started a new chapter in New York, and closer to her mother Margaret the first wife of Kelley. Ava may have different plans for the holidays coming up, but will they include being in Nantucket for Christmas? Jennifer started her own business, and wants to get off on the right foot, in this new career. Will one client ruin it all? What happens when she receives an offer she can’t refuse from the ex-wife of her brother in-law Kevin? Elin Hilderbrand has another winner in Winter Solstice! This finale to the Winter Street series is an easy page turner. It is well written! I felt that the author dealt with some more mature issues in this book. The relationship that Brett had with his girlfriend relieved some of the tension for me. I enjoyed meeting the Quinn family and watch them grow throughout the book. This book is a great read through the Christmas Holiday! 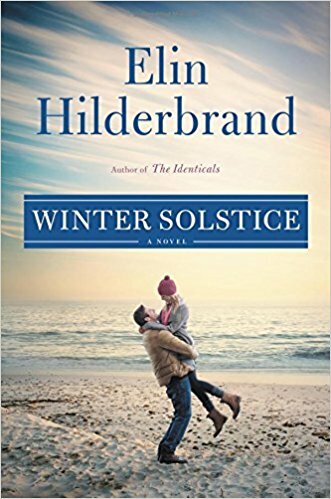 To purchase a copy of Winter Solstice here. You can also preorder Elin’s next summer book The Perfect Couple here.